Online trading is now becoming one of the most efficient ways of making money. It is not only quick but reliable as well. With skills that are easy to develop and put into action, one can start making a good fortune in the trading market. 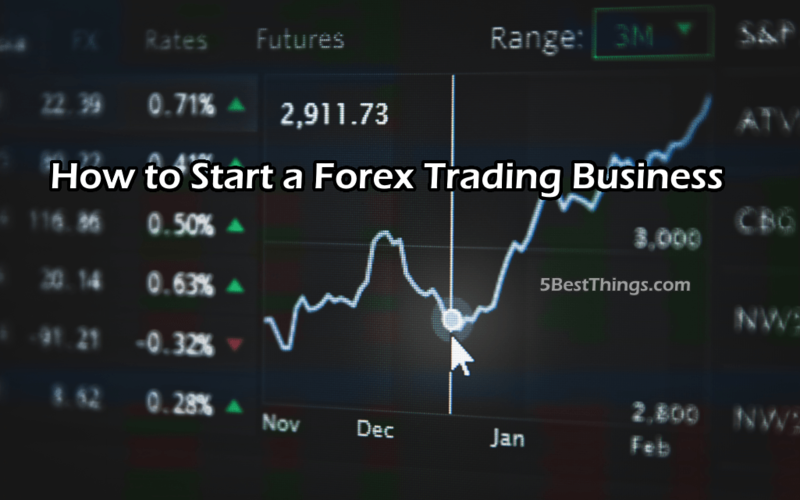 When it comes to trading business, Forex is one of the most popular names that people usually come across. It is a highly renowned and well-traded market all across the globe, that is considered as a hub for opportunities for professional as well as amateur traders. The basic mechanism of Forex trading involves selling and buying of currencies and making a profit out of them. The underlying dynamics of the Forex system runs on speculation predicted by traders. But like any other potential business, it is also influenced by politics and other inevitable factors. This global Forex market is not restricted to any time or space domain, and therefore is open 24/7. The constant, as well as spontaneous fluctuations in the market, makes it a very interesting place to work at. If you are thinking to try your luck in Forex Trading Business, there are few essential tips that we want you to keep in mind before setting your foot on the battlefield. The first and the foremost thing that you are supposed to do is to open a forex trading account. Because of this requirement of opening an account, this trading business is considered quite similar to the equity market. It is very important to understand that several factors are associated with selecting the right type of Forex account for your trade business. These factors include leverage, which is related to controlling a large amount of capital, and commission and fees as some transactions are done on a commission-free basis. However, these are not the only two factors that are important enough to remember. Instead, we would suggest you evaluate several other factors regarding your Forex account. You can know about these aspects on capital.com as it covers all the fundamental insights about Forex trading business. Once you have set your Forex account, it is time to discover the options that are available with your Forex account. The two fundamental means to get started with the foreign currency market by simply selling and buying currency pairs. It is quite simple to understand this process if you look at it as buying and selling stockings in the market. Just like a stock exchange, here too you expect the prices of the currency pairs to rise. The other source to go about trading via Forex is to buy those derivatives in particular that keep track of a specific pair of currencies. Such derivatives include futures and options. On buying an option on a currency pair, customers get the opportunity to purchase a currency at a fixed rate. Although every other aspect of life demands risk management and self-control skills. But for Forex trading, these two things are mandatory. Since the business involves transaction of massive currency numbers, it is very important to keep yourself grounded and not getting blown away by the initial limelight. However, sometimes the opposite happens. Many people begin with a loss due to the most common reasons such as being under-experienced, overestimating trends, etc. Whatever happens initially, it is good to remember that beginning do not define your ultimate fate. The most efficient approach to ace the game of Forex business trading is to stay in the phase of progressive learning. Look around for tips from professionals and highly experienced traders to see how they made progress in their journey. You can refer to this site for some useful insight regarding Forex Trading Business.